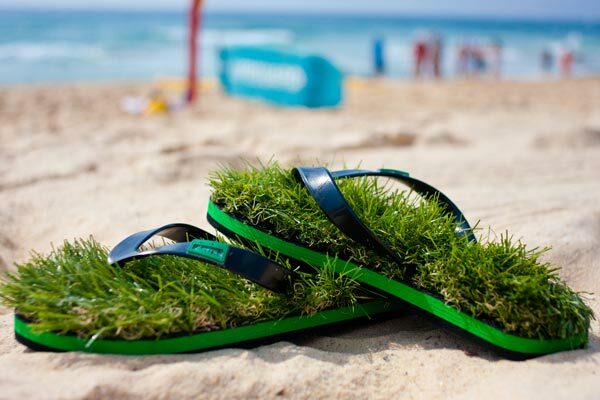 Footwear sales are a walk in the park for an Australian company who have launched a new pair of flip flops made of fake grass. The unusual footwear, created by KUSA, features fake turf stitched into the soles so owners get the same sensation as strolling barefoot on a freshly mowed (plastic) lawn. The bizarre footwear seems to have been a hit with customers across the globe, appearing on various trendsetting and fashion websites. Customers have been advised not to mow the grass to avoid damaging the product.